What does it mean to be a friend of Jesus? Based on John 15:9-17. Briefly: Jesus told his disciples and us that we are his friends. Jesus has chosen us. Jesus loves us. Jesus cares for us. Jesus calls us to love one another as we are loved. Jesus tells us to hang on to the love Jesus has for us when things get rough. 4. To challenge ideologies, structures, politics and policies that lead to violence. Wishing you all peace ... and the desire to work for peace. Based on John 10:11-18, Jesus has many sheep, some not of this fold, that need to be found. This sermon explores Jesus' role as our good shepherd and what we can do as his followers to help others avoid the wolves of the world. 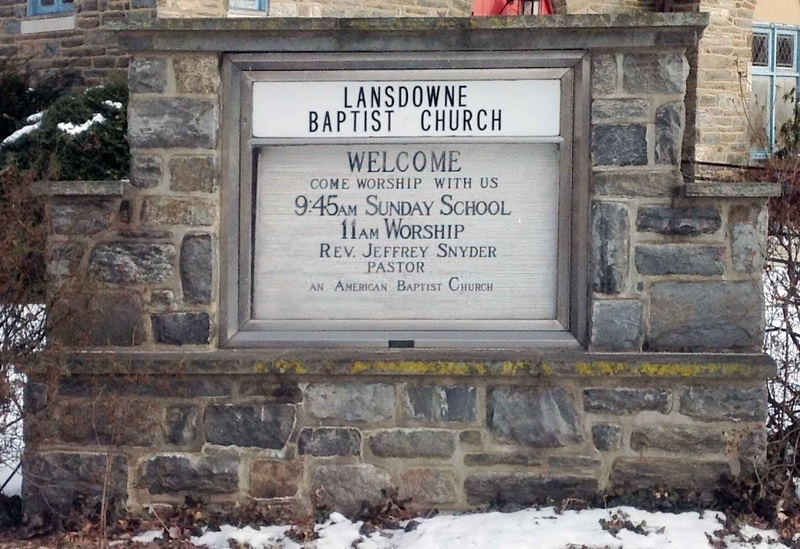 Members of Lansdowne Baptist Church will be out early on Saturday morning, May 9, 2015, participating in the annual yard sale the borough holds. The yard sale runs from 9 AM to 3 PM. 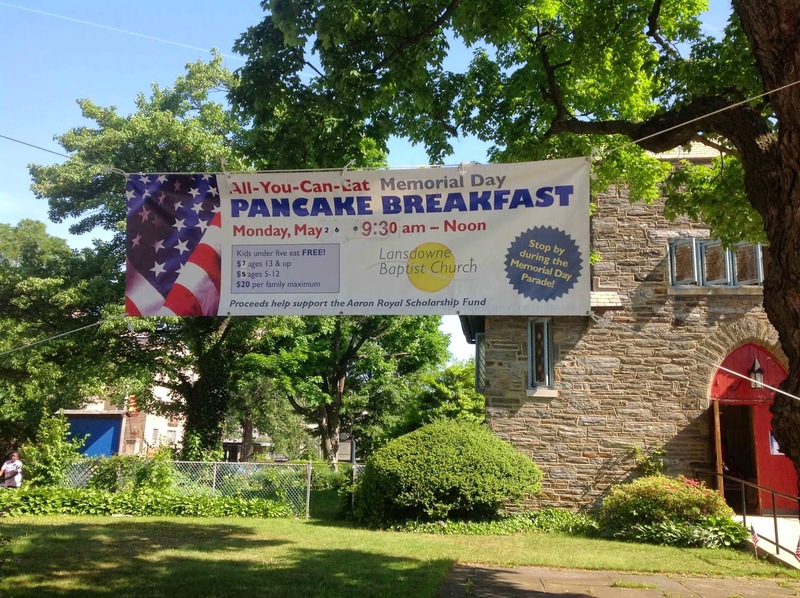 We look forward to seeing you out in front of the church if the weather is nice. We have a wide range of items of possible interest. The proceeds will go to the work of the church. 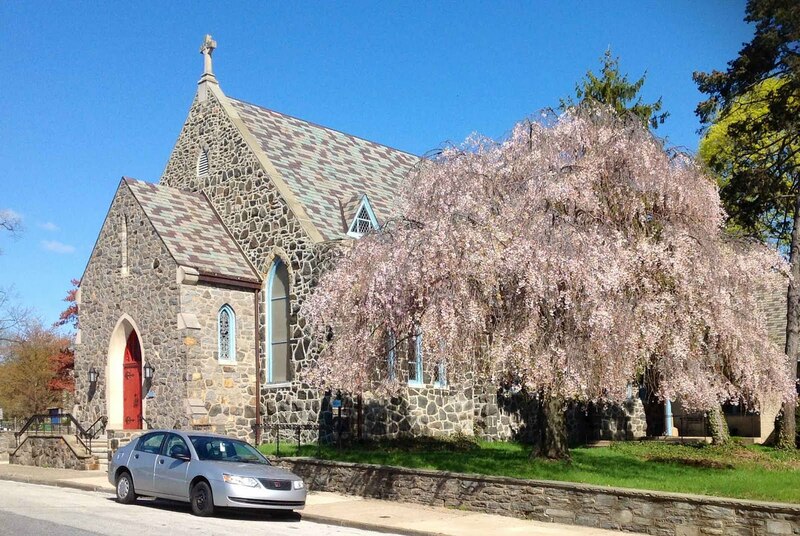 If yard sales just aren't your passion, drop by on Sunday for our worship service. Anytime you come by, you'll be most welcome. 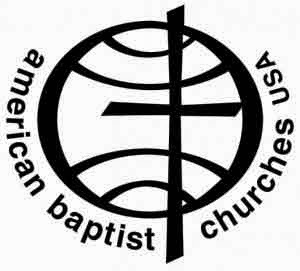 Our Lansdowne Baptist Church chalk sign is moving into a new era. 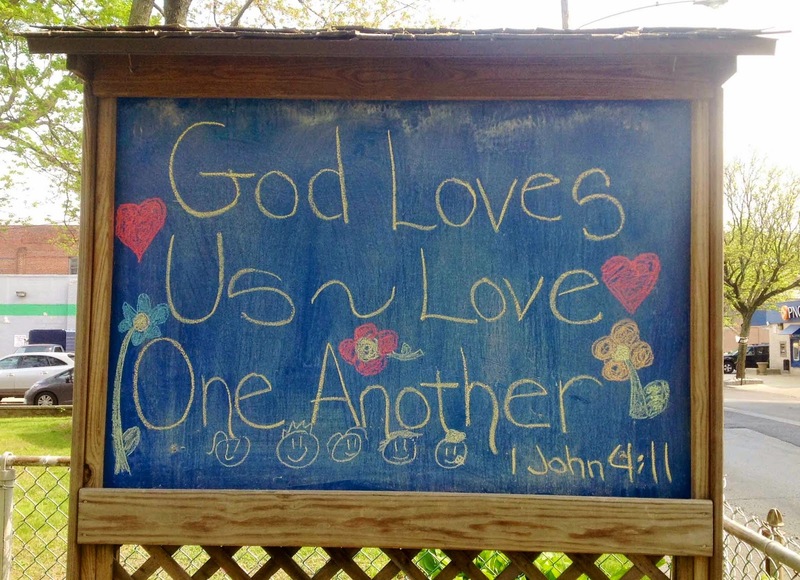 We have turned over some of the sidewalk chalk to the children's Sunday school classes. They are adding enhancements to our messages that make them stand out even more. It is a wonderful thing when you turn over an idea to a group of creative young people and their teachers. You never know what will happen. It is great to see them explore their God-given gifts. I look forward to seeing future artwork from our young people, and perhaps some messages in time. Keep your eyes open as you drive past. Of course, as always, you are more than welcome to join us on Sunday morning as well. We would love to have you share our joy as we worship together.